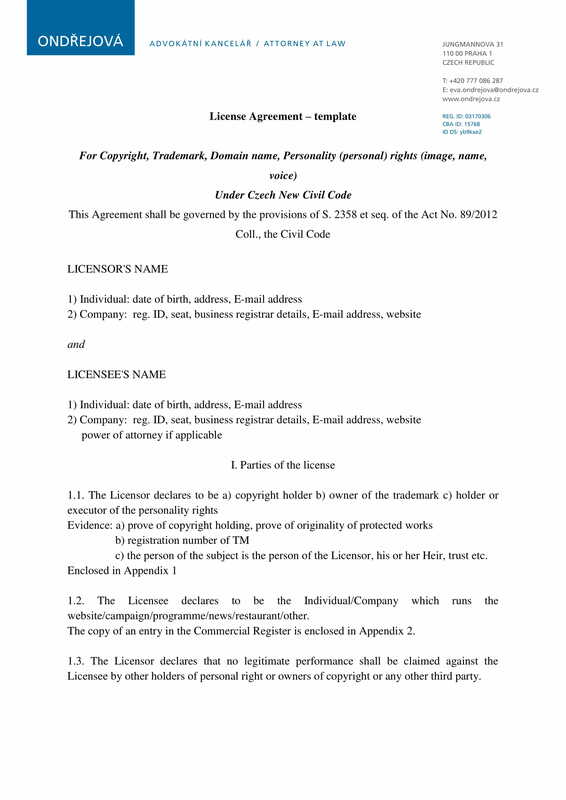 A trademark license agreement is referred to a document contract that contains a list of terms and conditions regarding the usage of a licensed trademark. 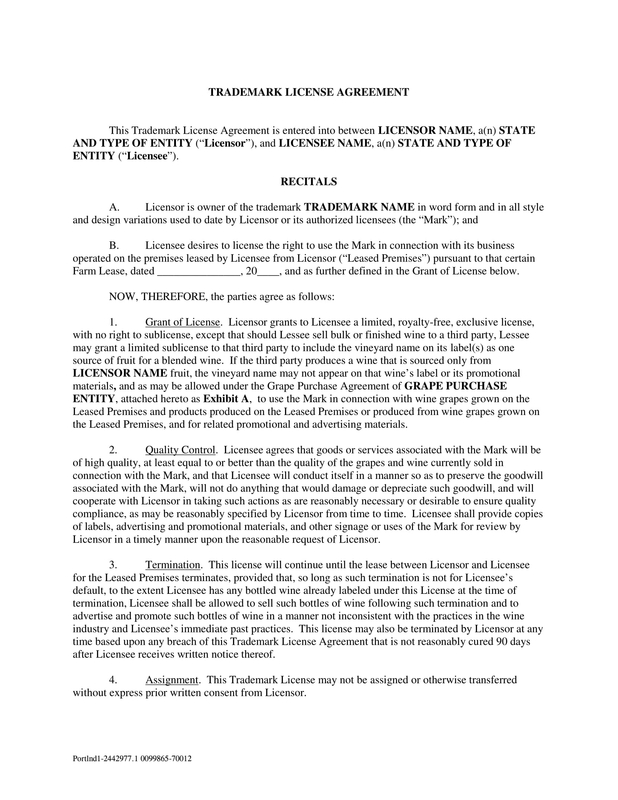 This contract agreement is often utilized for two main reasons: it is either you are a licensee who seeks for some permission or authorization in order to use the trademarks of a company, or you are a licensor who gives the authorization for someone to use your licensed trademarks for your products and services. Though both parties are in some kind of an agreement, this does not necessarily mean that they are to create a joint venture or partnership in the business. 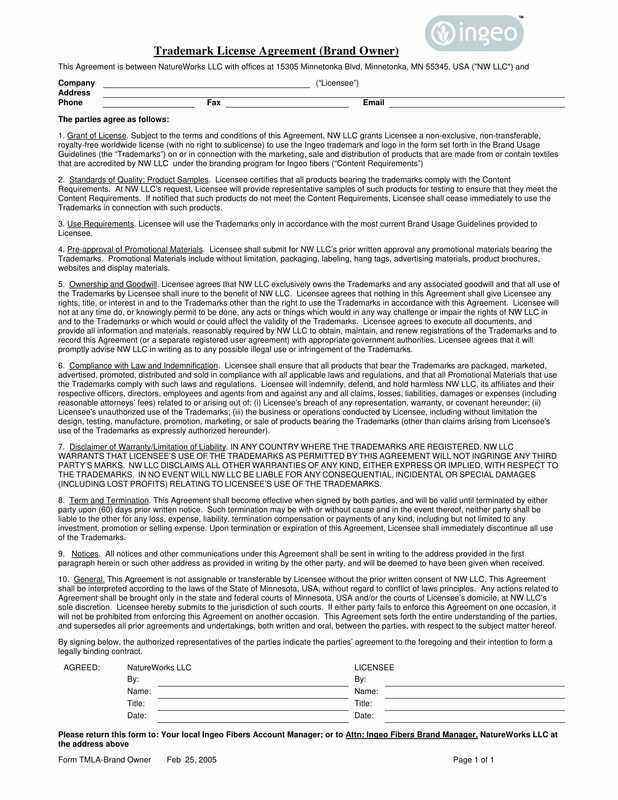 Nevertheless, the agreement should only take effect within the given period of time, as specified in the agreement form. 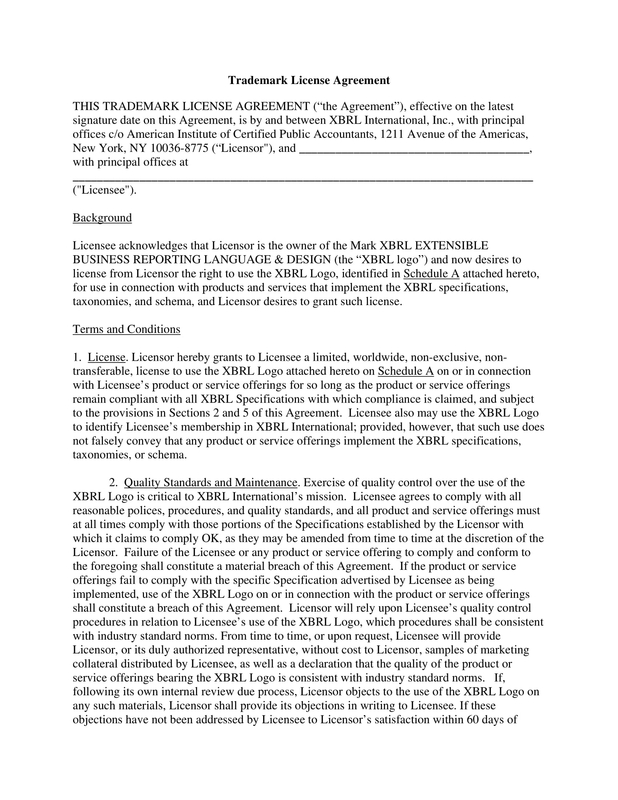 In addition, this license agreement for trademark usage lets you, the licensor, establish your own rules for your own trademarks, products, and/or services. Yet, you have to make sure that your rules are acceptable or considerable by the other party, most especially when you want your business to grow and you want to be compensated in return for granting the other party’s request to exploit your trademarks. These are few of the important things that you should include when you conduct a grant review of your licensees’ requests. By means of this, you are also able to guarantee that they are not taking you and your trademarks for granted. 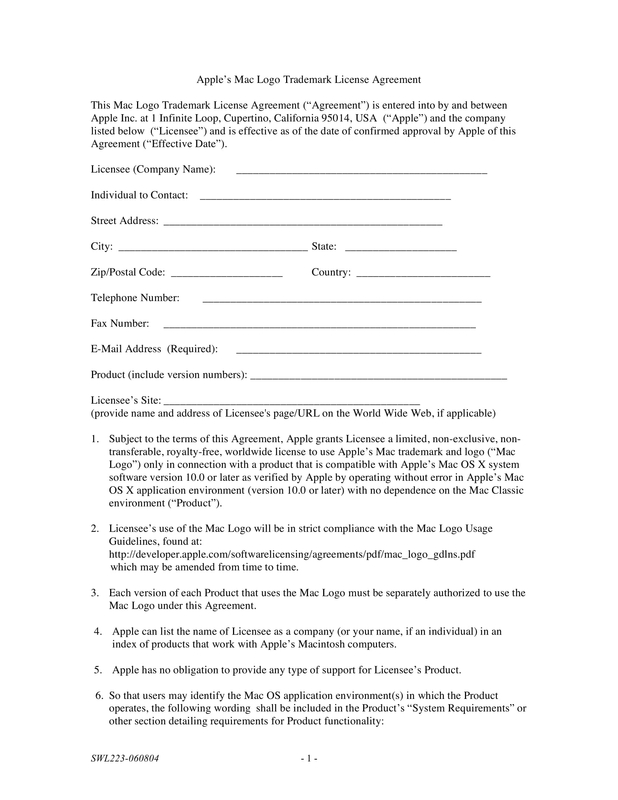 This is ensured when you specify the terms using the agreement form. Therefore, refer below to know what are the specific terms and conditions that should be particularized or itemized in detail in the trademark license agreement forms. One way to assure that both parties are in a formal and legal accord is by specifying fair and sufficient stipulations. Therefore, refer below to be acquainted with what should be found in the license agreement form for trademarks. 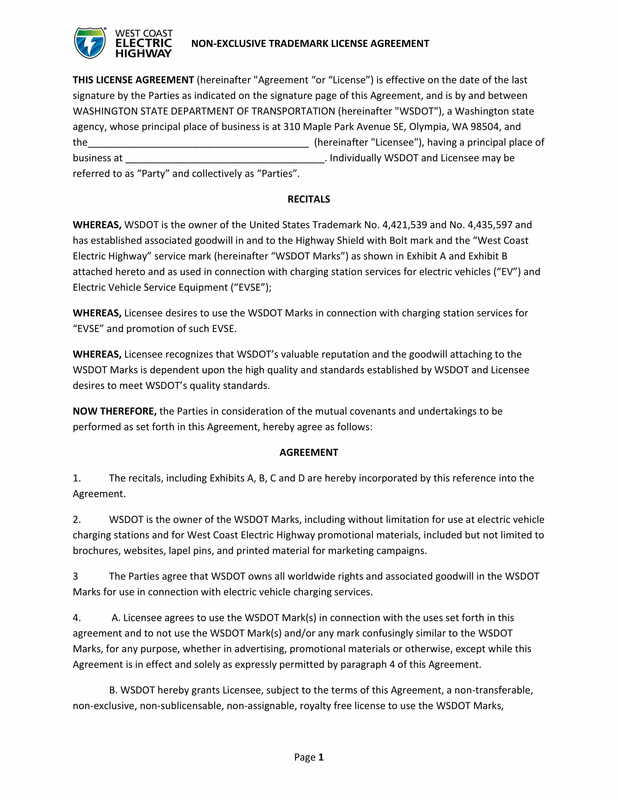 The official statements in the agreement are acknowledged and specified with the use of various terms and conditions for the following below. 1. The Grant of License. It is specified in the general statement that the license granted to the licensee is revocable, non-exclusive, and non-transferable. 3. The Retention of Ownership. 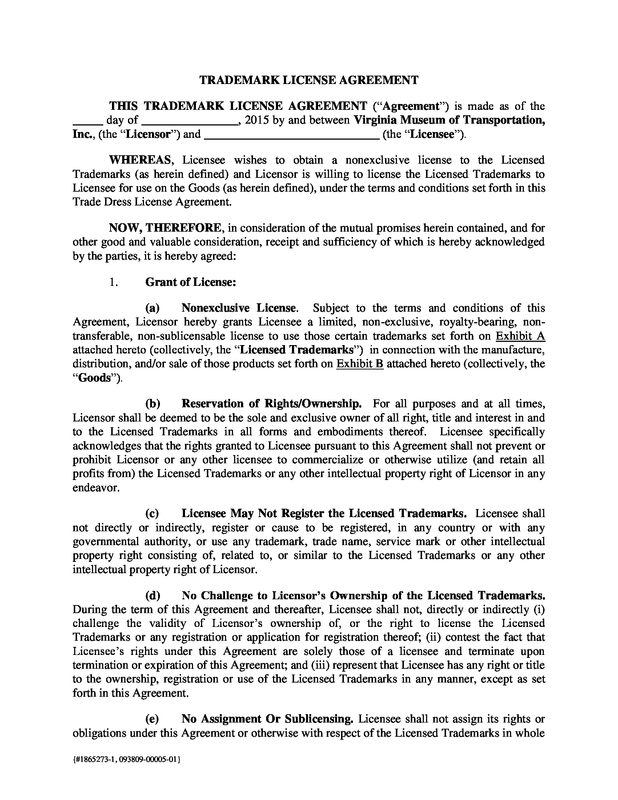 This is with regards to the simple agreement form that the licensor may terminate any time, most especially when reason is due to noncompliance of the licensee to the other agreed terms and conditions stated in the form. 5. 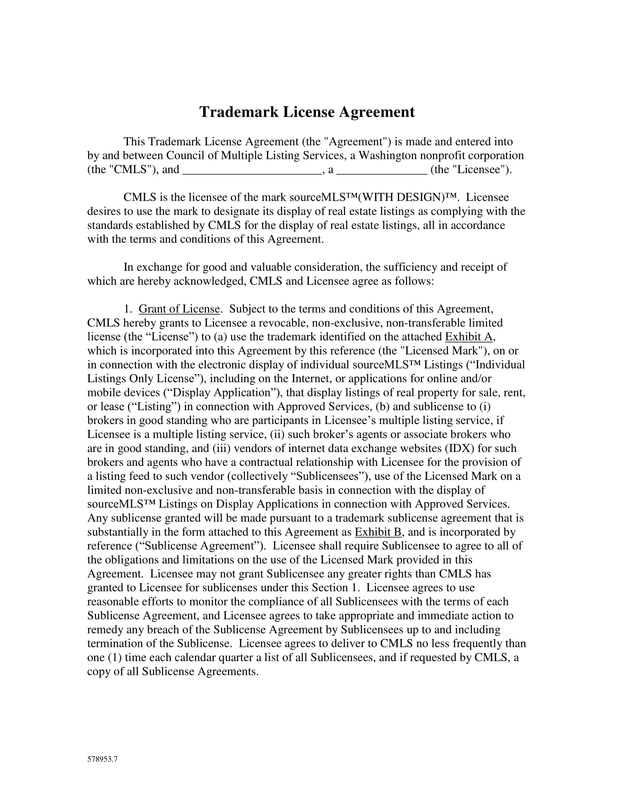 The Assignment of Trademark License. 6. The Licensee’s Responsibilities (for the license products or services). 7. The Terms of Indemnification. 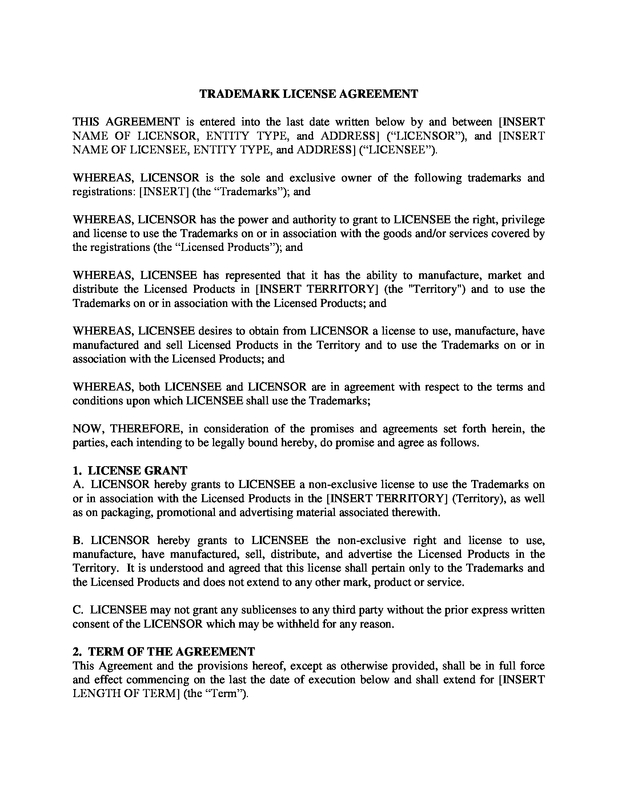 Though the licensor and the licensee are engaged in a legal agreement, this does not necessarily mean that they are in a joint venture or partnership. The disputes or arguments that cannot be resolved by both parties should be brought to an arbitrator, as what both have agreed. These are few of the main terms and conditions that should be indicated in the license agreement form for trademarks. For more detailed information, download and browse over the forms that you find convenient for use. In addition to this agreement, the licensor may conduct an inspection or review of the licensee’s audits, book, records, and reports from time to time. 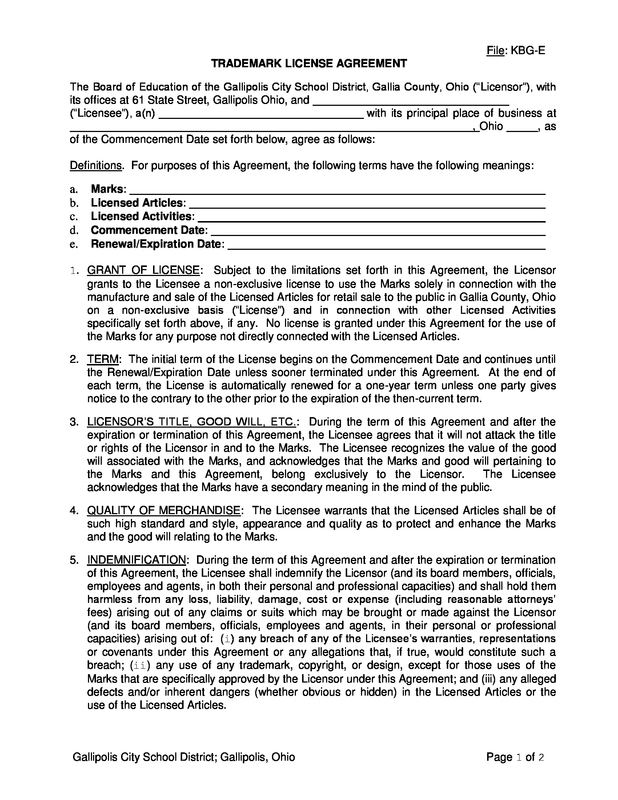 This is to ensure that the licensee has been complying with the agreement terms. Moreover, the contract agreement often caters all the important matter that both parties should be aware of. In addition, the agreement also includes all possibilities that both may encounter. An example for this are the terms that both should take heed of in the event of any dispute or misunderstanding regarding the products and services. 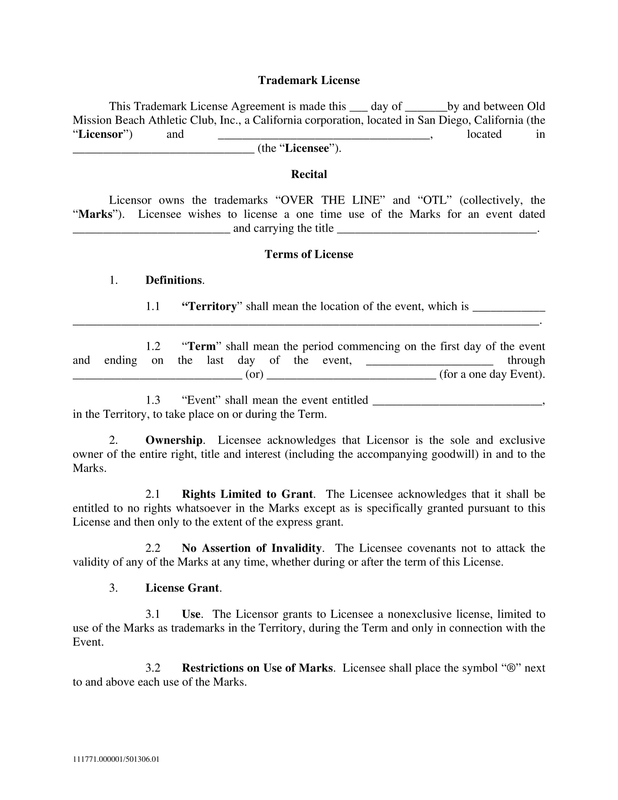 The following list below are few basic tips that a licensor should take note of when making an agreement with the licensee. 1. Make sure that your permission is given, only if the licensee who is/are asking for your permission is qualified after you conduct grant review or evaluation. 2. Ensure that all the trademark policies that you want the licensee to take note of are specified and particularized in the general agreement form. 3. Do not forget to conduct a background check of the licensee and their company. By doing this, you will be able to ensure that they are worth for your permission. 4. Ensure that the terms and conditions are acceptable and considerable by your licensee. The following below are few of the basic tips for a licensee to comply with. 1. Make sure that you have read all the terms and conditions that are written in the agreement form. 3. Make sure that you have understood everything in the contract agreement before affixing your signature. 4. Make sure that you comply with all the requirements, as stated in the form. 6. When there are some simple statements that confuse you, seek for a professional person such as an attorney to help you understand each of the statement. 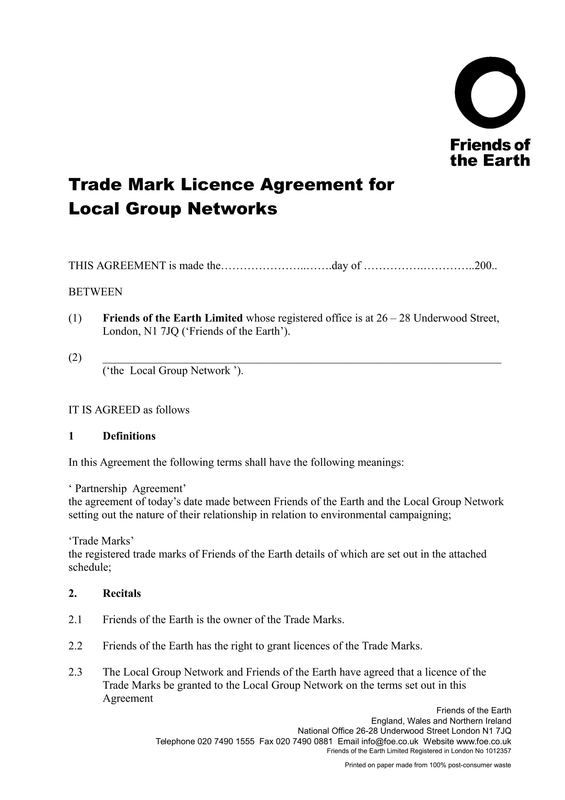 Technically, these trademark license agreement forms contain the mutually agreed terms and conditions between two parties. 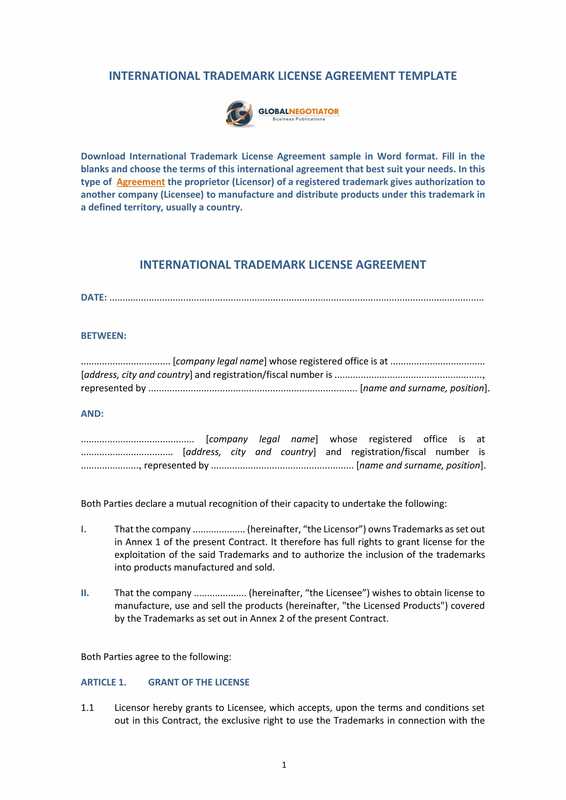 These are often utilized in order to formally ask for some permission to the owner with regards to obtaining the specified rights to use a trademark. Therefore, the rights to use certain intellectual property, particularly a trademark, is distinctly specified.